Watermarking is a technique to identify a physical or non-physical object with its owner (creator). First watermarks in history originates from very ancient times. Historically Classical Watermarks, were mostly important. As we tend to use more and more visible and we switch to use of more invisible stuff, nowdays the importance and use of digital watermarks is steadily raising. You have most likely already seen pictures from websites which contain a copyright holder message stamp or website logo on it. Watermarks have entered most if not all areas of our life, but we often don't recognize they're there / rarely think about them. There are too many different kind of "physical watermarks" and since this is not the accent of this article, I will continue straight to explaiin a bit on Digital (picture) watermarks and how to watermark images with ImageMagick image editting command line suit. 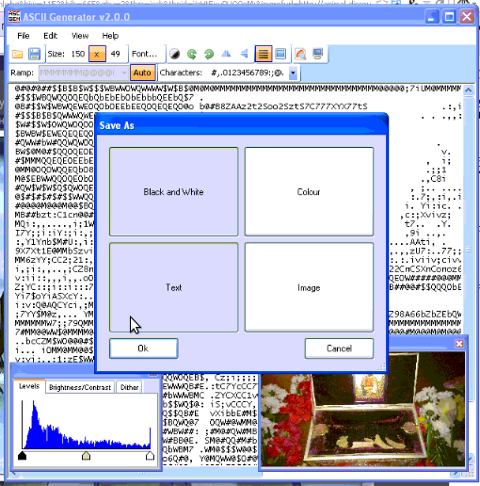 – digital information (files) metadata with watermark content etc. The topic of watermarking is quite wide, so I will stop here and focus on the main idea of this article – to show how to place digital watermark on graphic image or collection of pictures. 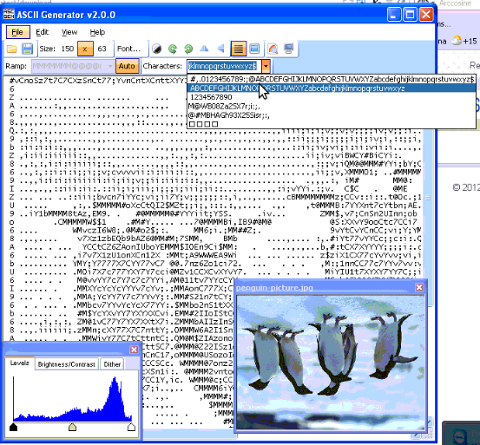 The most straightway non-interactive way to do picture watermarking is with ImageMagick's composite command line tool. This little handy tool is capable of creating watermarks in single and multiple pictures. 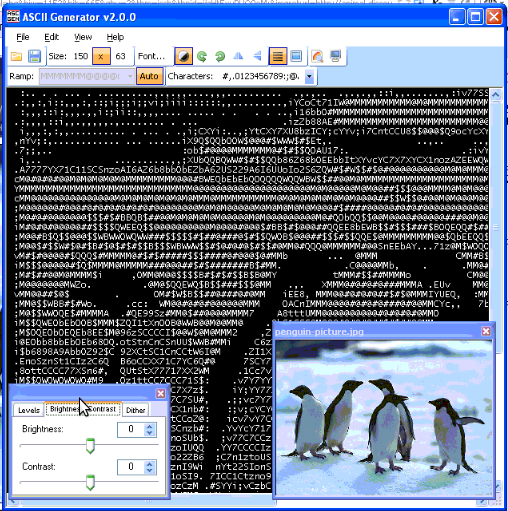 If you prefer to have a simple text as a watermark, then you should use imagick's convert cmd. 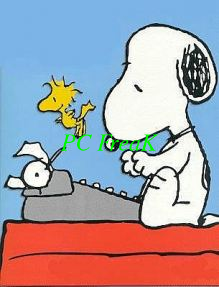 a) Writting text watermark to an image centered in "footer"
This will place a watermark in position 0,12, meaning the text will be added in the bottom center of the watermarked image. 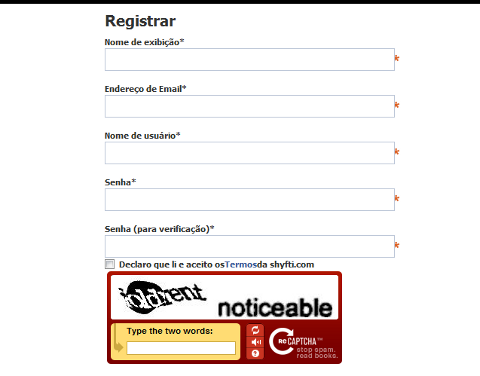 -pointsize 20 defines the text font size. hip0s Watermark is the actual text that will be stamped. This will add 85 new nice looking fonts. Putting fonts in .fonts/ directory, are red while fonts are looked up by applications installed on respective the server or desktop GNU / Linux systems. Any font put there is ready to be used across all ImageMagick command line tools, as well as will be added across the list of possible fonts to use in GIMP and the rest of gui editors installed on the system. According to the (watermark) texts font size passed to convert on some pictures the text written will exceed the picture dimensions and only partially some of the text intended as watermark will be visible. If you encounter the exceed picture text problem, take few minutes and play with fonts sizes until you have a good font size to fit the approximate dimensions of the (expected minimum / maximum – horizontal and vertical) stamped picture dimensions. For the sake of clarity, here is a list with arguments used in above, composite and convert examples. composite — The ImageMagick command that combines two images. -dissolve 80 — The number after the option determines the brightness of the watermark. 100 is full strength. -gravity southeast — Determines the placement of watermark. 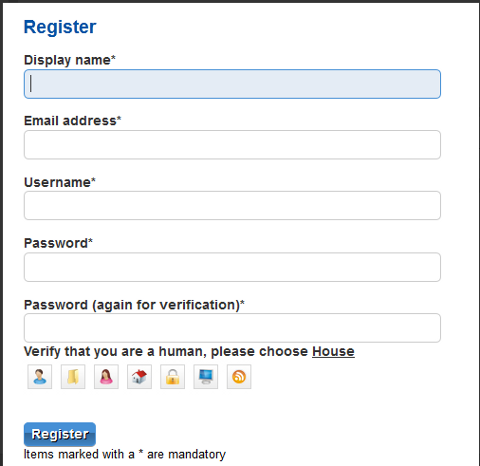 watermark_picture.png — The watermark image is the first argument. image-to-watermark.jpg — The second argument is the original image to be watermarked. output-watermarked-image.jpg — The third argument is the new composite image to be created. N. B. ! If you don't specify a new file, be careful, the original file will be overwritten. 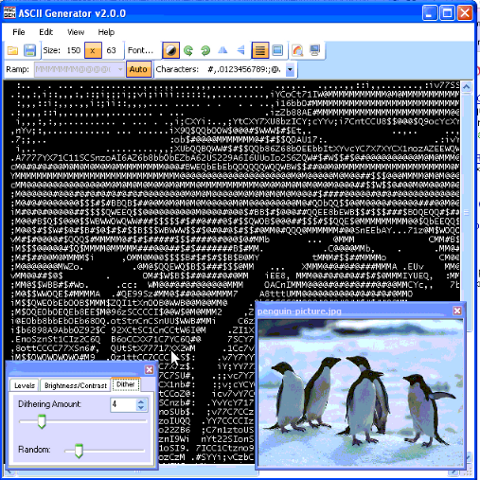 As ImageMagick is cross platform graphic editting suit – it runs on both *nix (Linux,BSD) and Windows. 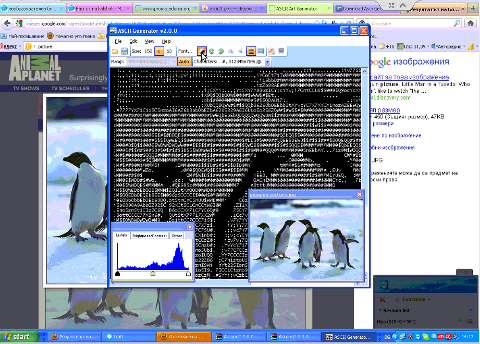 I have tested it on Linux, only but on FreeBSD and other BSDs it should work without any problem. The composite and convert above examples should be easily rewritten to run on achieve watarmarking on MS Windows too. convert and composite also support wildcards like '*.JPG, *.PNG', but I'm not sure if this syntax can be used for mass picture marking? 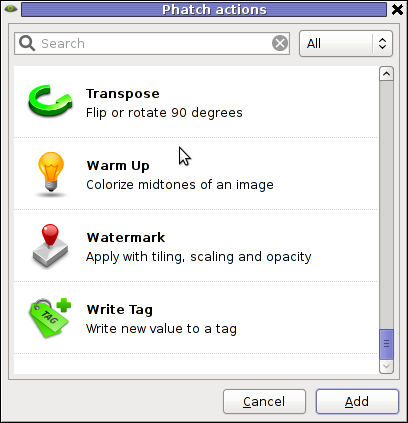 Phatch is swiss army knife for doing web design or or graphics design on Linux. 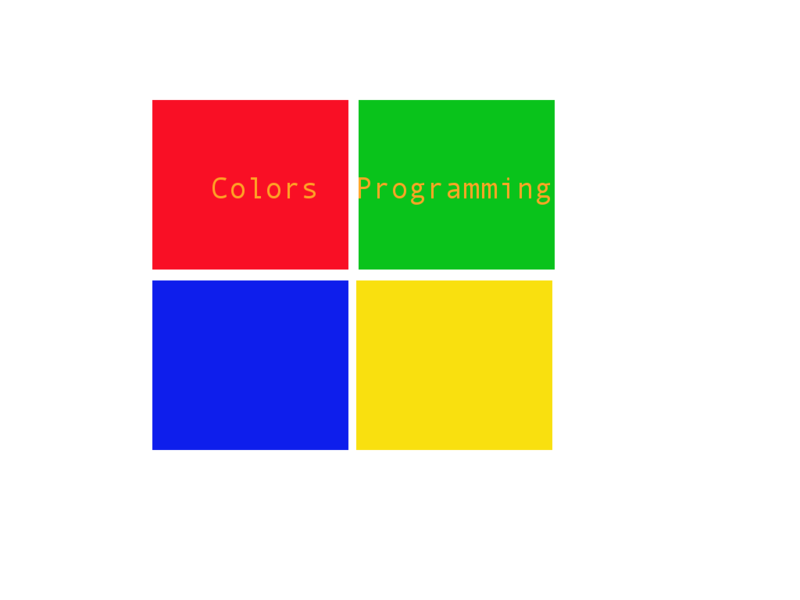 Phatch is really great and easy to use program. Tt makes putting basic designer effects on pictures with no requirement for any design skills. If you haven't used it yet, make sure you try it! 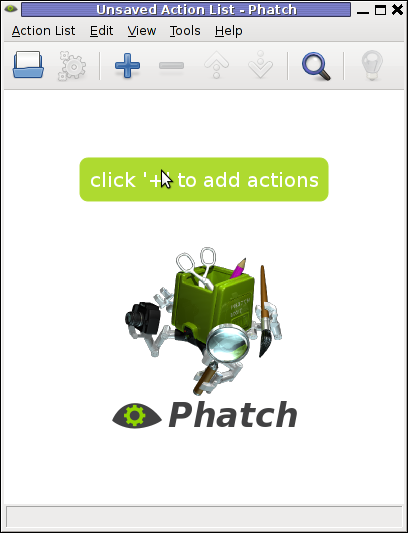 Phatch is installable via apt on Debian and Ubuntu Linux. 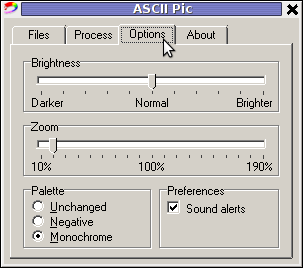 It has also a phatch-cli tools, which are a possible substitute to ImageMagick's composite / convert tools. 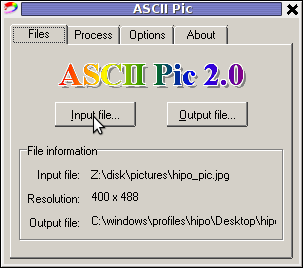 In Phatch it is also possible, to create a combination of filters to be later applied to an image file or a group of image files all in a directory. The program capabilities are really outstanding, it is pure joy to work with it. Using Phatch GUI interface is hard to comprehend in the beginning, I needed few minutes until I can get the idea how to use it. Anyhow once you know the basics, its very easy to use onwards. Effect – Blur, Sharpen, Emboss, Smooth, .. Scale – Scale an image with different resample filters. Most of the function / effects Phatch in the up list works fine as I tested them to get to know the program. The only effect that didn't worked for me is Blender effect. Its really a pity blender filter don't work. I've seen on Phatch's website some pictures showing the blender effect in action and it looks really awesome. I tried also to install some packages to the system that somehow seemed to be related to blender – versatile 3D modeller/renderer program but this worked neither. I suspect Phatch blender effect is not working on Ubuntu too as I've red complains in some Ubuntu forums. If someone succeeding making blend effect work please let me know how? Interesting feature of Phatch is the program support for applying its predefined filters using a cli interface. Where action_list.phatch is a Phatch predefined filter. Anyways I didn't manage to figure out how to use the program CLI. I'll be glad to hear if someone succeeded in using the program console, if so please share with me how? To add a watermark text or picture in GIMP, there are plenty of ways but is more time consuming by both Phatch or convert, composite.. I have never did a proper install of Windows XP on Debian before hand. Even though I experimented once long time ago. I had zero success with installing Windows XP Service Pack 2 . The only Windows I can make correctly working before hand on these early days on my Debian powered notebook with qemu virtual machine emulator was Windows 2000 . 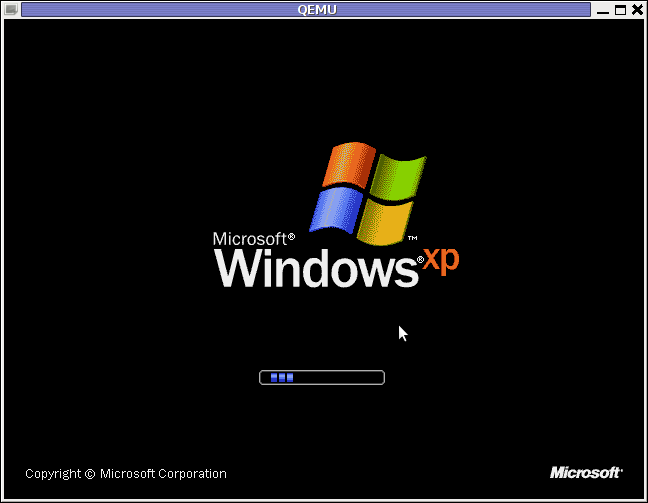 I decided to give it another go today as I hoped the qemu has advanced and I’ve seen many reports online of people who were able to correctly make Windows XP SP2 work out. 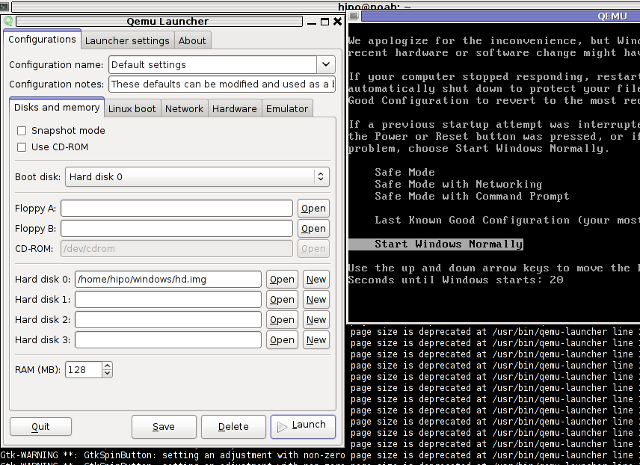 As a following step I loaded the tun kernel module which is necessery for Qemu to properly handle the Windows LAN networking. Next step is to create an image file with dd or with qemu-img which will be holding the Virtual Machine Windows installation. 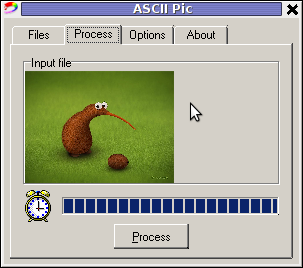 I decided to create a the image file to be with a size of 5 Gigabytes, this is of course custom so other people might prefer having it less or more the absolute minimum for a proper Windows XP SP3 install is 2000 Megabytes. Notice here that the file dd will create will appear like 0 kb file until the Windows install from a BootCD is run with qemu. Next I instructed qemu to boot from the just burnt CD. 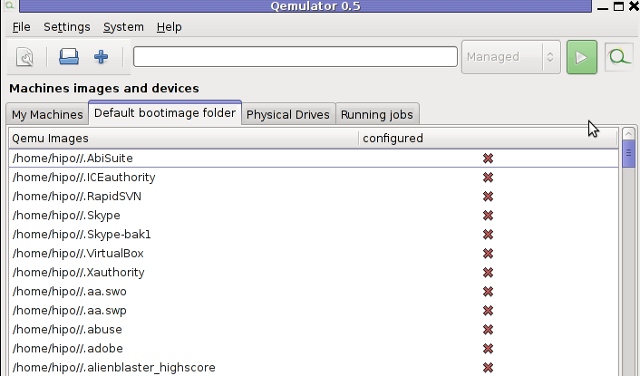 Qemu window will pop-up where one installs the Windows as it will install it using an ordinary PC. To switch qemu to fullscreen mode to have the complete feeling like installing Windows on an non-emulated PC ctrl + alt + f can be pressed. The Windows installation took like 1 hour 20 minutes on my dual core 1.8 Ghz notebook with 2 GB of RAM. But I should say while installing I had multiple applications running; xmms, transmission, epiphany, icedove, evince etc. probably if I just run the Virtual Machine with no other applications to extra load my PC, probably the Windows install would have been done in max 50 minutes time. That’s just in case, if they’re not supported by the Windows default existing drivers. Next on used the Windows device manager from Control Panel -> System -> Device Manager to point my undetected hardware to the correct Win drivers. These days more and more people start to forget the g* / Linux old times when we used to copy CDs from console using dd in conjunction with mkisofs . Therefore to bring some good memories back of the glorious console times I decided to come up with this little post. 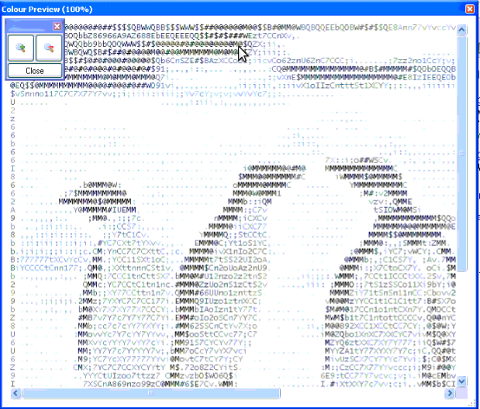 /tmp/mycd.iso instructs dd CD image creation to be placed in /tmp/ directory. bs argument instructs it about the byte size portions by which the content of the CD-Drive inserted CD will be read. bs value of 2048 is actually only 2KB per dd read, increasing this value will decrease the time required for the CD image to be extracted. The -J option makes the CD compatible for Pcs running Microsoft Windows. The -V TITLE option should be changed to whatever title the new CD should have, -r will add up status bar for the mkisofs operation. 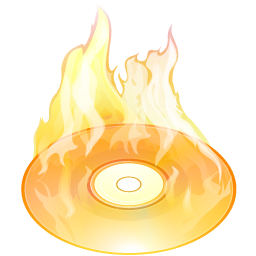 -r is passed to create specific file permissions on the newly created CD, -o specifies the location where mkisofs will produce its file based on the CD image /tmp/mycd.iso . If all wents okay with cdrecord operation, after a while the CD should be ready. After upgrading my sis’s notebook from Ubuntu 11.04 to Ubuntu 11.10 on her Acer Aspire 5736Z the default gnome wireless network manager started behaving oddly. The Network Manager did not show any networks, even though the network drivers showed that are loaded properly on the Linux host and using the normal commands like iwlist or iwconfig I could list and see the networks and even connect to a network. As my sister is not a console geek like me it was necessery of course to have an easy way to connect herself to the Internet with nice GUI application. I personally love WICD Network Manager and as the default gnome manager was misbehaving I immediately installed her wicd. With wicd , the wireless networks were properly listed and there was no connection issues to the wireless networks, however the wicd system tray was missing and hence everytime she wanted to connect to a wireless network, she had to keep wicd-client running active in the Dock or run it manually every time on connect, when she had to change her physical location and connect to another wireless network. This of course is quite unhandy and gives her a bad image of Linux and I definitely want to make her love free software and GNU / Linux. Thus I want to give her a GNU / Linux she will be easy to use. I tried this suggested fix which was reported to work on Ubuntu 11.04 but the gconf registry suggested pathway was missing at all so this solution did not worked. For my surprise running the script doesn’t immediately changed nothing and wicd wireless connectivity indicator was still missing from the tray. Now hope this fix will, help out there experiencing the same issues to work around his wireless network connectivity issues 😉 Cheers.